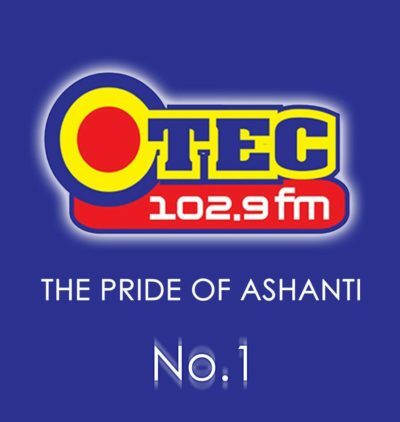 A renowned journalist with Otec FM, a private commercial radio station in Kumasi, Ashanti region, Oduefour Nana Asabre Pinamang, has been installed as a linguist (okyeame) of Apinkra, a farming community in the Bosomtwe district of the Ashanti region. 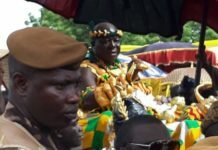 He swore the oath of allegiance to the chief of Apinkra, Obrempong Baafour Darkwa III, under the stool name Oduefour Nana Asabre Pinamang. He was among eight persons who were sworn in as sub-chiefs at the Apinkra Palace on Thursday, January 10, 2018. The traditional ceremony was attended by traditional rulers, Journalists, family members, friends and some government officials. 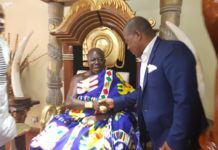 Before the swearing in, the chief of Apinkra advised to him to respect tradition, humble himself and use his journalism profession to lure more developmental projects to the community as it has been their source of worry. “The community lacks basic amenities like school and portable water, but I believe your enstoolment will be a catalyst to drive in developments to the community. I therefore charge you to use your profession to engage with all the relevant institutions to come to the aid of Apinkra,” Apinkrahene charges Oduefour Nana Asabre Pinamang. 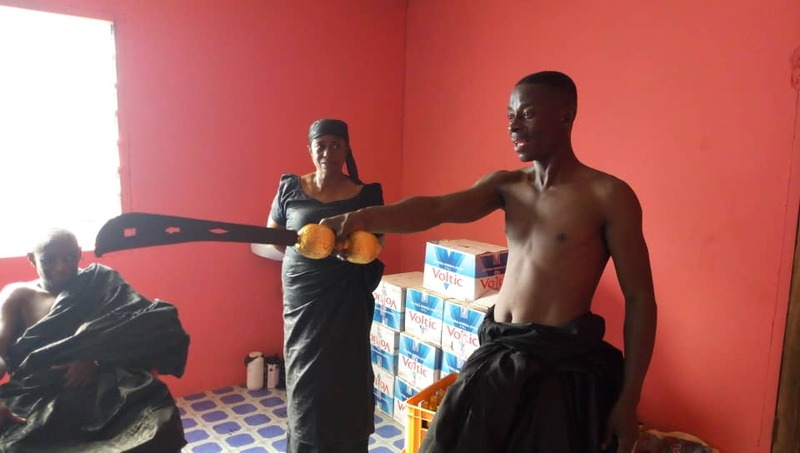 Okyeame Oduefour Nana Asabre Pinamang expressed delight for the honour and for support from the community, his family members and promised to serve the silver stool with humility.